An oceanic fragrance, created in harmony with nature, this radiant, fresh and subtle accord captures the landscape where the sky meets the sea in a warm, oceanic floral bouquet. MANDARIN: All the countries of the Mediterranean basin cultivate the mandarin tree, but it is in Sicily that the finest quality mandarin is produced. There are several varieties of mandarin: yellow, green and red, which correspond to different degrees of ripeness of the fruit. Mandarin essence is a citrus note with a fresh, fruity quality. Mandarin conjures a yearning for exotic travel in the top notes of Fahrenheit, Dune and Dior Addict. PEONY: A celebrated fragrance ingredient, the peony is a large round flower that is red and white in colour. Its fruity, floral scent with light, green accents is reminiscent of rose and lily-of-the-valley. The serene, airy harmonies of peony are found in the heart notes of Dune. VANILLA: The white flowers of the vanilla plant produce a fruit that reaches maturity after eight to nine months. The pods are harvested before they are fully ripe, then undergo a process of maturation lasting 34 months. Their fragrance develops and vanilla crystals are formed, which have a sweet, spicy scent. 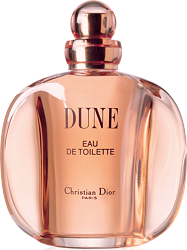 Serene and sensual, vanilla forms the dry-down of Dune, Hypnotic Poison, Dior Addict, Fahrenheit 32 and Pure Poison elixir. 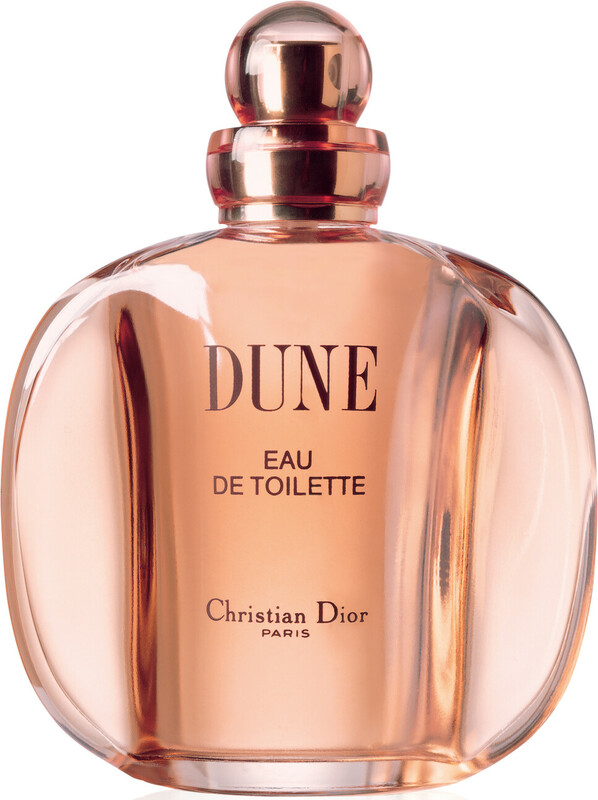 DIOR Dune Eau de Toilette Spray is rated 4.9 out of 5 by 20. Rated 4 out of 5 by Mick27 from Perfume Thank you, price excellent ,perfume arrived within 3 days ,with a free gift .I will defiantly use you again . Rated 5 out of 5 by saxyblue from Excellent value I purchased a Dune perfume from Escentual, I paid £10 less than I would have paid elsewhere , I am very happy with the service and excellent way my perfume was wrapped, it arrived safely I will have no hesitation in using Escentual again, or recommending them to anyone else . Rated 5 out of 5 by Rainbow from Unique! Dune is a unique spicy oriental. Can be worn any time of year. But I think is most suitable for the warmer weather. Spring & Summer.